The Choose Privacy Week Program Guide gives librarians the information and resources they need to implement programs on privacy in their public, school, academic, and other libraries. The guide contains activities, events, and other suggestions for educating and engaging library users on privacy issues. It is the key resource for any library wishing to participate in Choose Privacy Week. 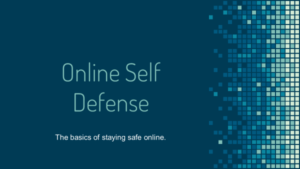 A complete program for patrons that teaches the basics of online privacy self-defense and digital citizenship, in both English and Spanish. A presenter’s script is included as notes to the presentation slides and the handouts and evaluation form can be downloaded via the links below. If you’re looking for inspiration for your own privacy program or event, here is an archive of past privacy programming provided by libraries and educational institutions across the country. We also encourage you to visit Programming Librarian (a project of ALA’s Public Programs Office) for more great ideas and resources. And don’t forget the videos and resources available through Choose Privacy Week. Our documentary, Vanishing Liberties: The Rise of State Surveillance in a Digital Age remains relevant today; the video talk by attorney and former FBI agent Michael German on Data Sharing, Government Surveillance, and Civil Liberties raises important questions about privacy and government surveillance. Both videos are great conversation starters for a library program on privacy, surveillance, and national security. Or you might consider using the Choose Privacy Week civic engagement materials to support a community conversation on privacy. Government agencies, consumer groups, and privacy advocates frequently offer publications, pre-packaged programming, and online resources at low or no-cost to institutions and non-profits that are engaged in educational activities or that make information available to the public. The listing below identifies some of the currently available resources that can help your library quickly and easily pull together privacy resources or a privacy program for Choose Privacy Week at little or no cost – often all that’s needed is some correspondence or a copier to reproduce a handout or tip sheet. This California-based consumer education group, whose mission is to empower underrepresented consumers in the marketplace, offers a number of multilingual education materials at no cost, including pre-packaged programs on online privacy and identity theft. Many of their print publications can be ordered in bulk. Put A Lock On It – A pre-packaged educational module on online safety and privacy that addresses such topics as securing online accounts and mobile apps, shopping and banking safely on a computer or mobile device, preserving privacy while using social media, and avoiding unwelcome content and communications. Materials include a lesson plan, powerpoint slides, and a handout/publication that is available in English, Spanish, Chinese, Vietnamese, and Korean. ID Theft and Account Fraud – A pre-packaged educational module addressing identity theft prevention and what steps to take to clear up problems caused by identity theft. 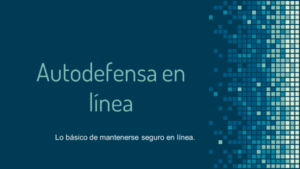 Includes a lesson plan in English and Spanish, leader’s guide, powerpoint slides in English and Spanish, a ID theft quiz, and a handout/publication in English, Spanish, Chinese, Vietnamese, and Korean. What’s Not to Like – publication providing specific tips and tools for participating in social networks while protecting privacy. Consumer Action also has educational modules and publications on health records privacy in California, workplace privacy, and protecting privacy while engaging in online financial transactions. The consumer and government affairs office of the agency charged with oversight over online privacy has a number of publications and tip sheets that can be included in your library’s online privacy resource guide or printed out as handouts to support library programming. The consumer protection office of the FDIC has just issued a new (Winter 2016) edition of FDIC Consumer News addressing privacy and security in online banking transactions. The FDIC is encouraging libraries and educational institutions to link to it or reproduce it and make it widely available to the public. The federal agency charged with promoting consumer protection also exercises oversight over fraudulent or deceptive practices related to privacy, advertising, and data collection. It offers online resources, videos, and reproducible publications, including a number of publications that are available for bulk order. Many are available for free bulk order. Includes materials in Spanish, Chinese, Vietnamese, Korean, and Tagalog. PRC also has modules on identity theft and data breaches, privacy at work and school, medical privacy, and privacy when you shop. Check with state and local consumer protection agencies, advocacy groups, county extension services, and state libraries for additional quick, easy, and free resources. If you discover a great quick, easy, or free resource, please share it with us at oif@ala.org.